Once upon a time, writer Terry Pratchett teamed with Neil Gaiman to create a classic. 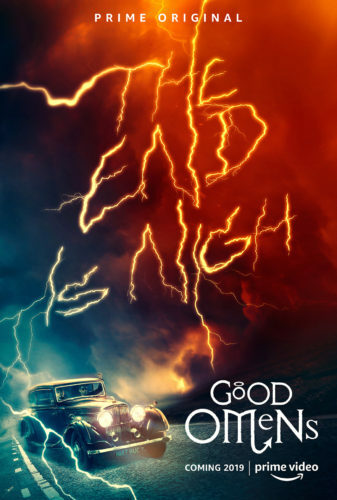 Their brilliant collaboration, Good Omens, tells of the impending Apocalypse, and how an angel and a demon team up to try and stop it when they realize they somehow still quite like Earth. It’s hilarious, strangely reverent and irreverent at the same time, and utterly compelling. After many years of teasing, it’s finally made it to another medium thanks to Amazon. Gaiman himself produces, and David Tennant and Michael Sheen star as the demon Crowley and the angel Aziraphale, and at Comic-Con, Amazon announced that Frances McDormand has joined the cast as the voice of God. As the Academy Award-winning actress certainly has some weight to throw around in Hollywood, this makes sense. Amazon unveiled a teaser poster, and this little look behind the scenes. 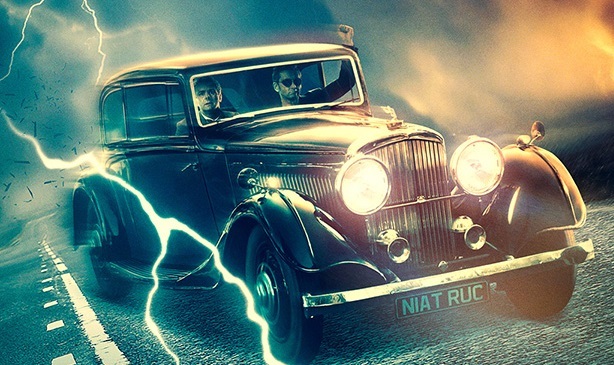 Good Omens is coming in 2019, and though it promises the End is Nigh, I can’t wait. (Though this does give me time to go back and re-read the novel.) Thanks for promising that this is Season 1, Amazon, because these Apocalypse things can’t be rushed.